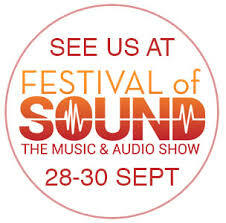 Come and see us at the Festival of Sound show, in D11 Medoc room on the second floor at the Hammersmith Novotel London West. This year Renaissance have put together a system for the true music fan with a moderate budget. Featuring the stunning new MOON 390 preamplifier, we will be playing vinyl on the VPI Avenger and streaming from Tidal using MiND2. The system will be fully wired and powered using Nordost Heimdall cables throughout. The system will be topped off with speakers and equipment tables from our friends at Dynaudio and Quadraspire. This is the first show for the new partnership between Renaissance & Nordost and to celebrate we will have some prizes to be won in our room. Pop in for more details and a chance to win! → No less than two 2018 Best Buy awards for Simaudio!